I love to get a great start to the New Year and I’m sure you do too – it’s such a rejuvenating experience. This year, start it off right with a new design for your baby’s or toddler’s room. Applying a fresh look is a great way to spend more time thinking about and caring for your child. The new decorations will also shape his or her personality by providing different signals and objects to soak in. Decorating a room should be an overall enjoyable experience. There are endless possibilities when it comes to colors, wall hangings, signs and whatever else you fancy. Repaint The Walls – The color you choose can affect the mood and behavior of your baby and bring new context to your parent-child relationship. Paint yellow to bring cheerful energy into the room, paint light blue or green for a subdued nurturing or healing affect, or paint purple to provide the royal treatment. As long as you like the color and it makes you want to spend more time there, that’s all that really matters! Add Personalization – This year, put a personal touch in the room. Add a simple, yet beautiful arrangement of cloth letters to spell out his or her name using Letter & Names Fabric Wall Art. They’re soft and colorful and an exciting way to begin teaching the alphabet to your young ones. Inspire Through Cartoons – Watching a cartoon on TV is completely different than displaying a cartoon on the wall. A non-animated version means your child has to use his or her imagination to visualize that cartoon in action – a great way to stimulate creativity! Take your kid’s inspiration to new heights by hanging his or her favorite Character Wall Décor. Use Space-Saving Furniture – I am the first to attest that babies and toddlers come with a lot of clutter – toys, clothes, bottles, diapers, rattles, mobiles, and the list goes on. For the New Year, take advantage of your space and find furniture that serves multiple functions. Try a dresser with a pullout changing table or colorful stackable bins that neatly organize all the toys and clothes. Any furniture that saves space will save you from headaches next year. Sneak In Some Education – My final suggestion is to put learning at the forefront of your new room (without making it too obvious). 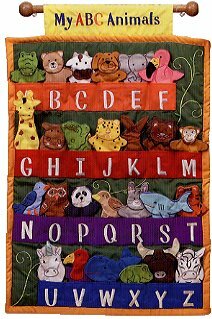 The My ABC Animals Cloth Wall Hanging is a great example. 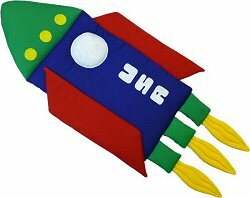 The educational wall hanging is attractive in appearance and subtly helps children learn their alphabet through adorable animal finger puppets. How could anyone resist? I hope these 5 design tips help you create a new room this New Year. With a few small touches, you’ll create a better environment for your baby or toddler and improve the bond between you and your child.